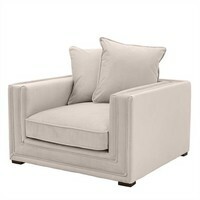 Luxury armchair from the exclusive Dutch brand, Eichholtz. 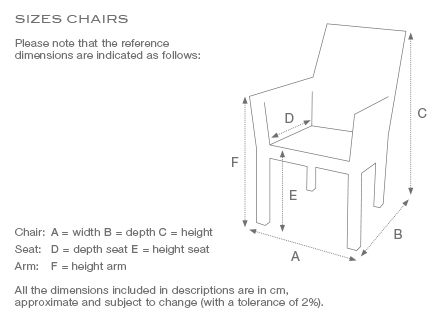 The chair has a seat height of 38 cm and an extra spacious seat measuring 112 cm. 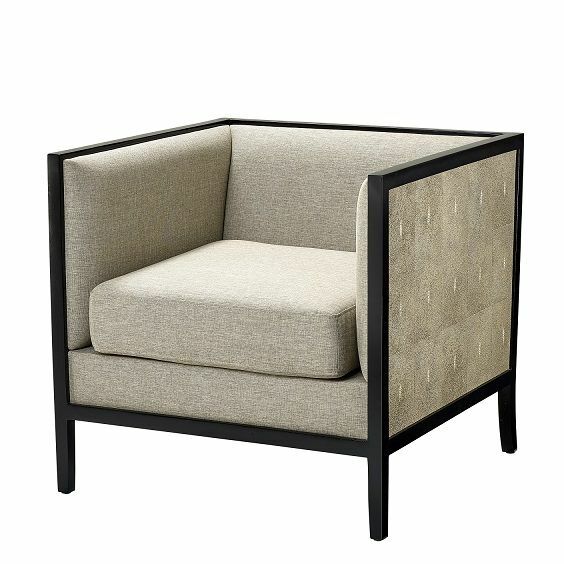 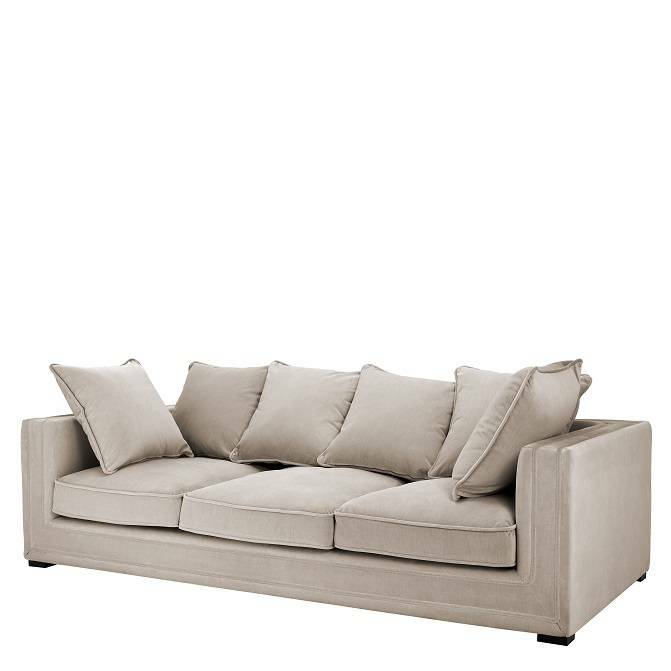 This gorgeous, spacious armchair is available in ambient ´Stone Grey´ and is solid coloured. 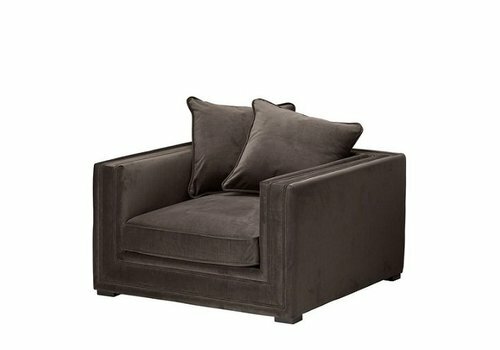 The legs are also made of wood. 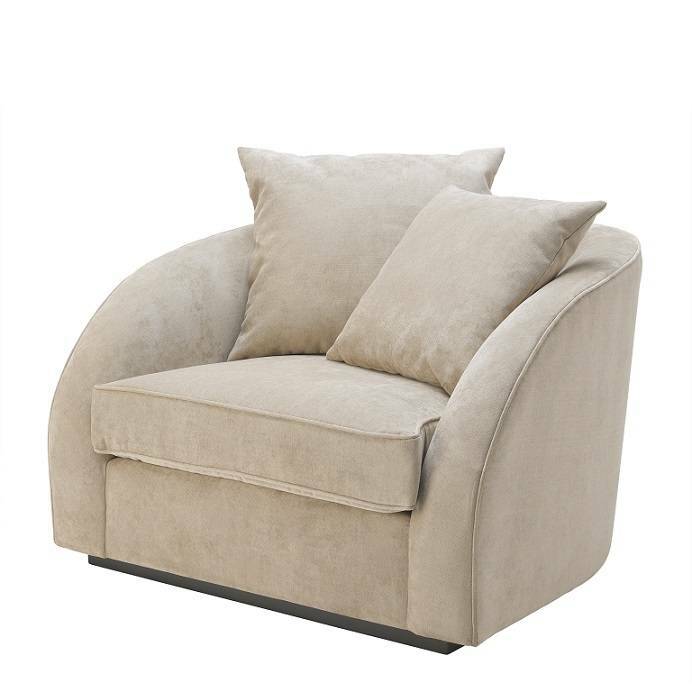 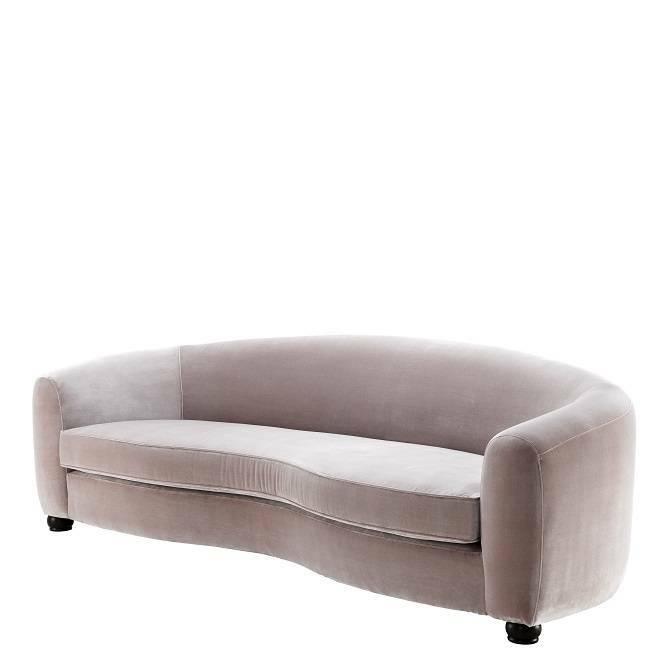 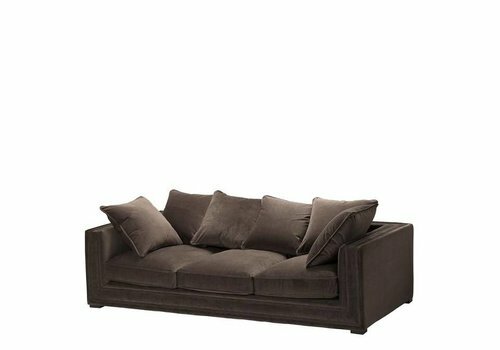 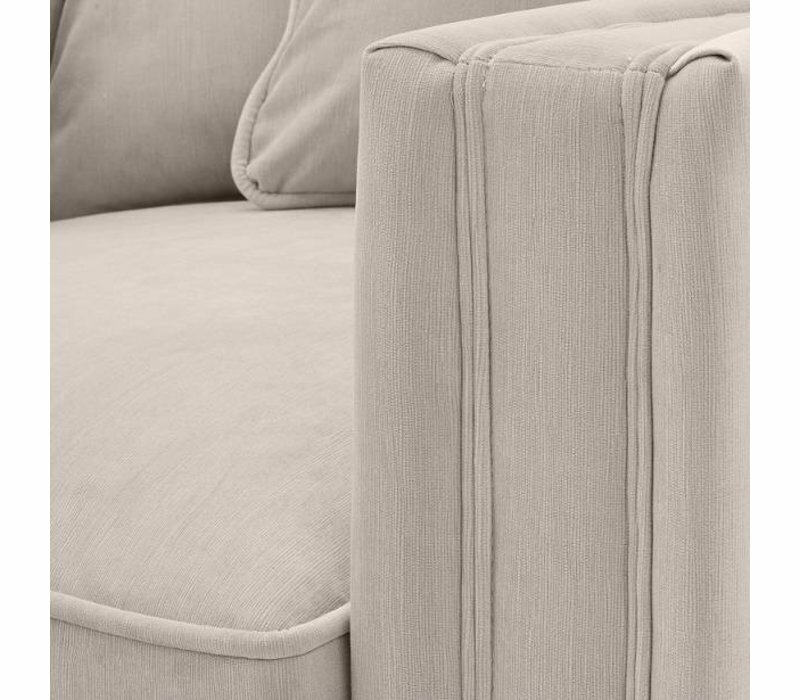 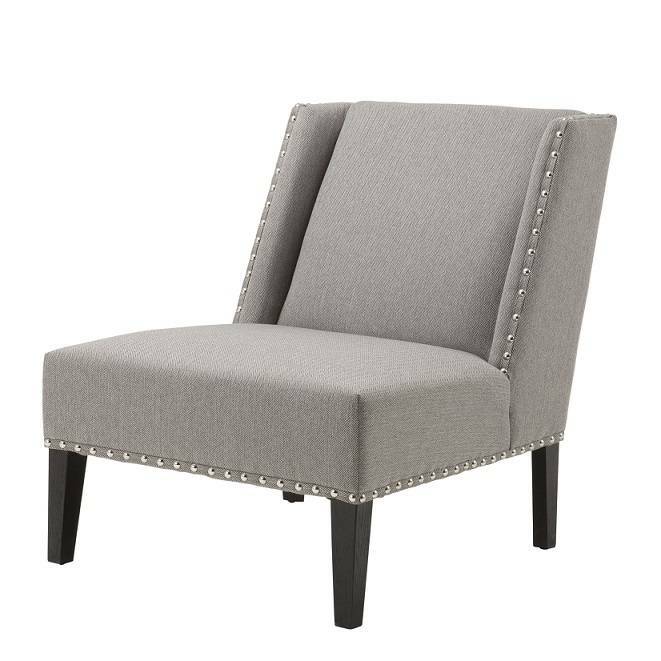 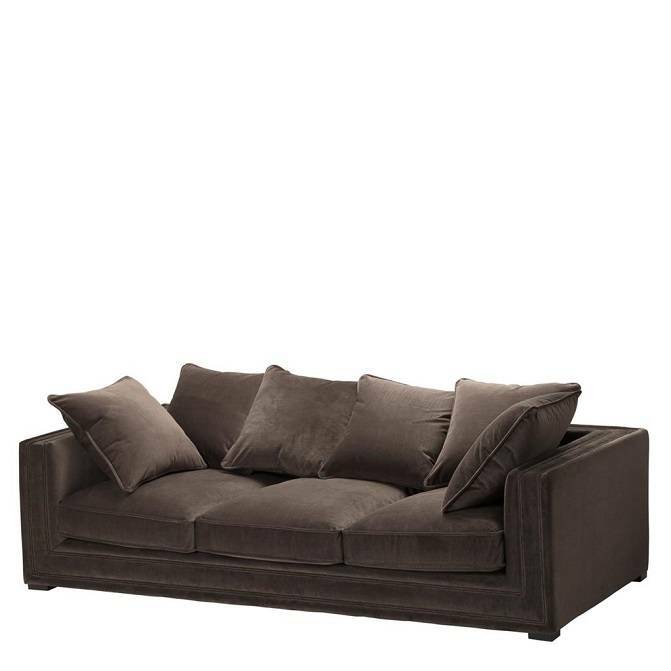 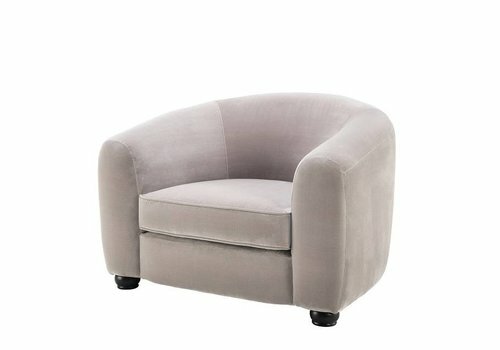 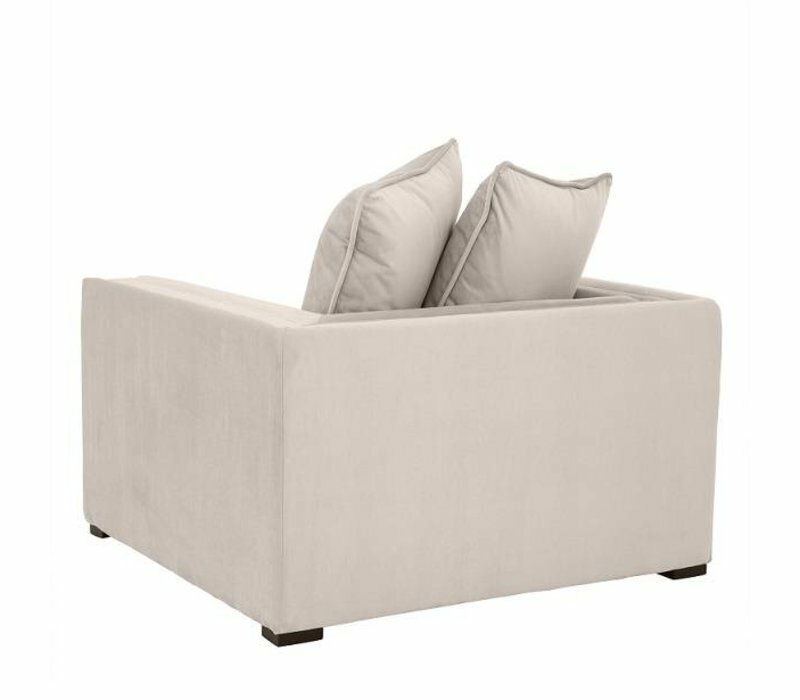 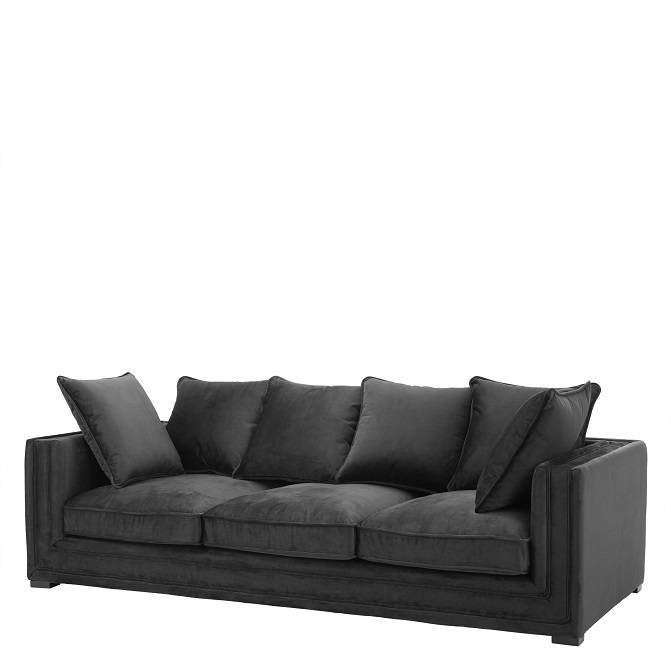 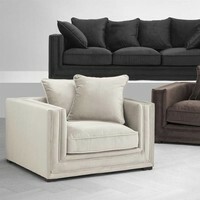 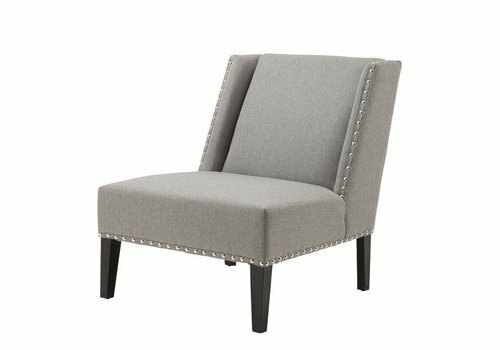 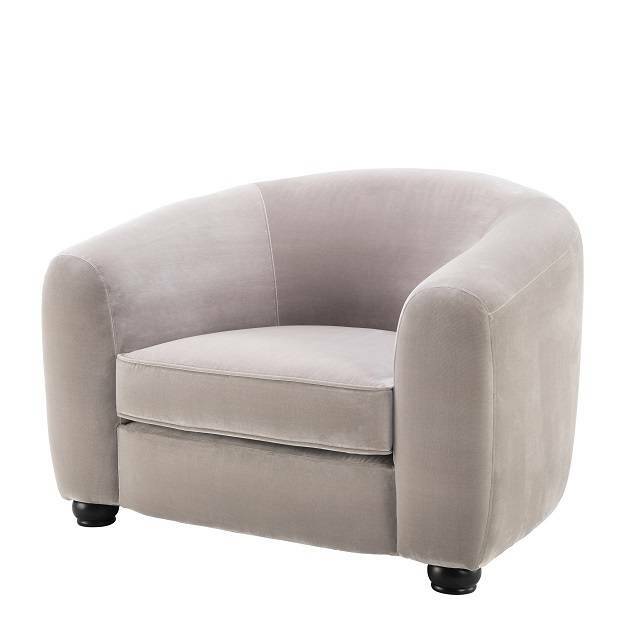 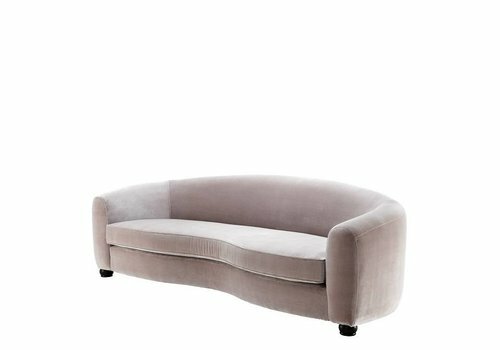 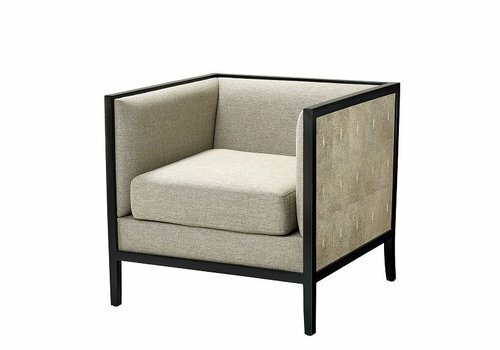 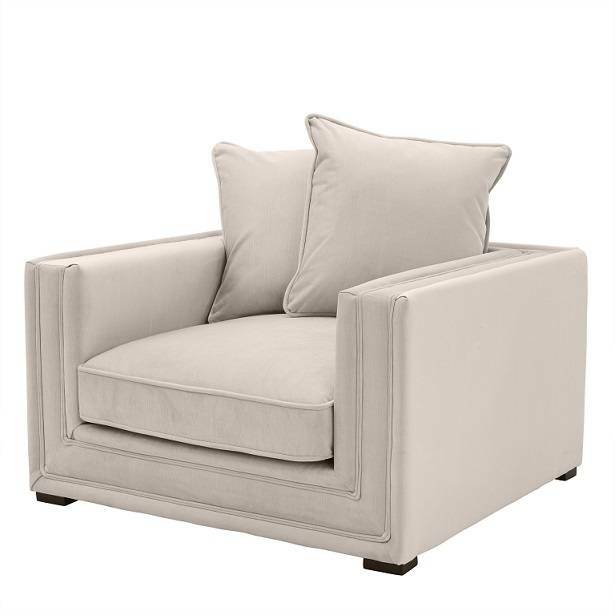 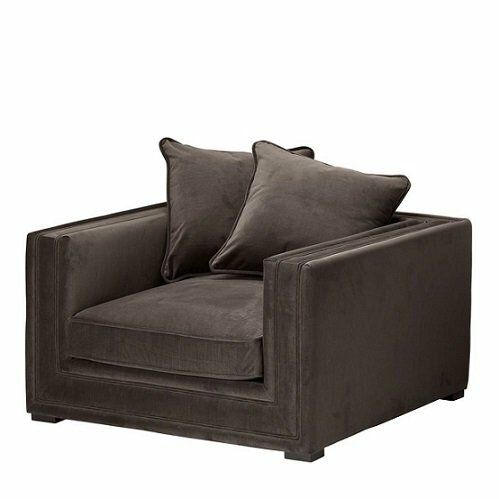 This luxury armchair would be a beautiful addition to your interior! 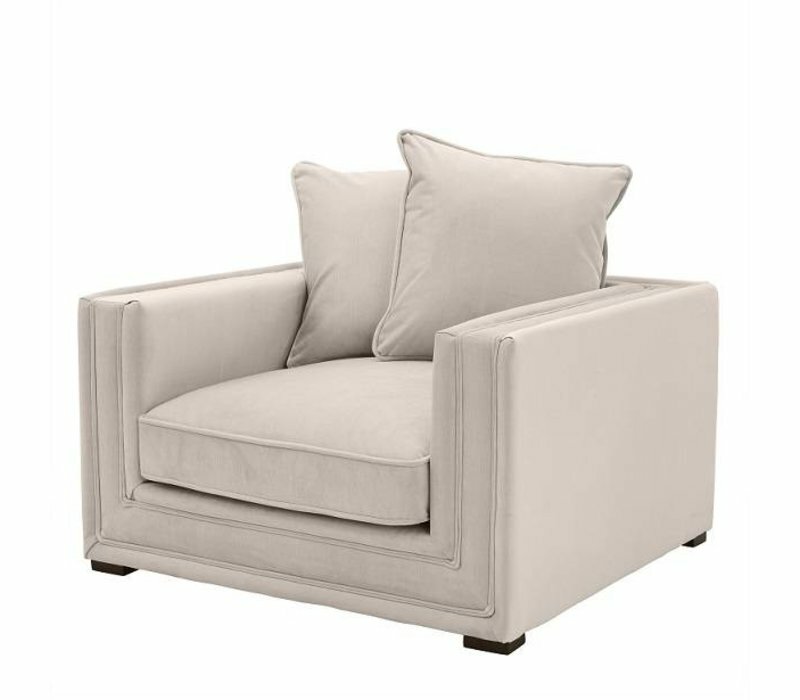 With its warm hues and tasteful colour combination, this armchair has a classic look that fits well in both modern and classic interiors. 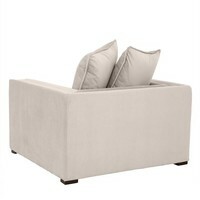 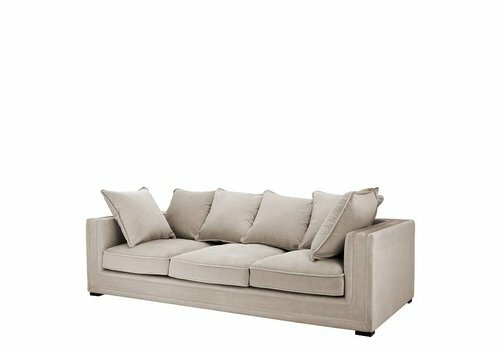 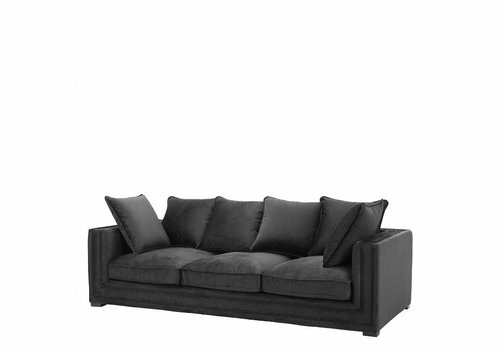 It would be a perfect fit in the living room, a spacious conservatory, or by an open fireplace. 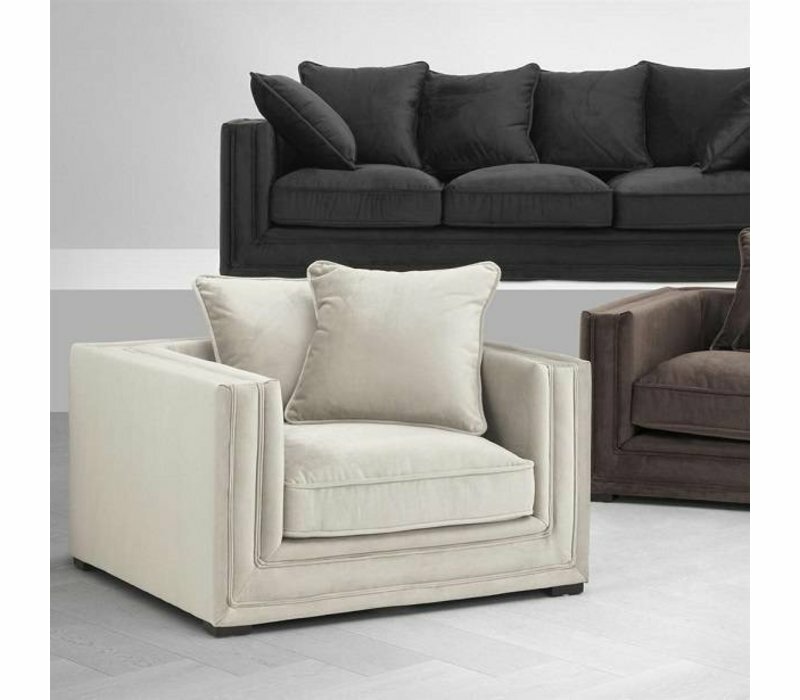 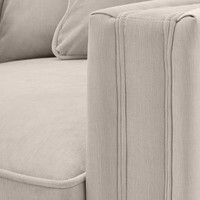 We offer a standard two-year warranty on the 'Menorca' chair. 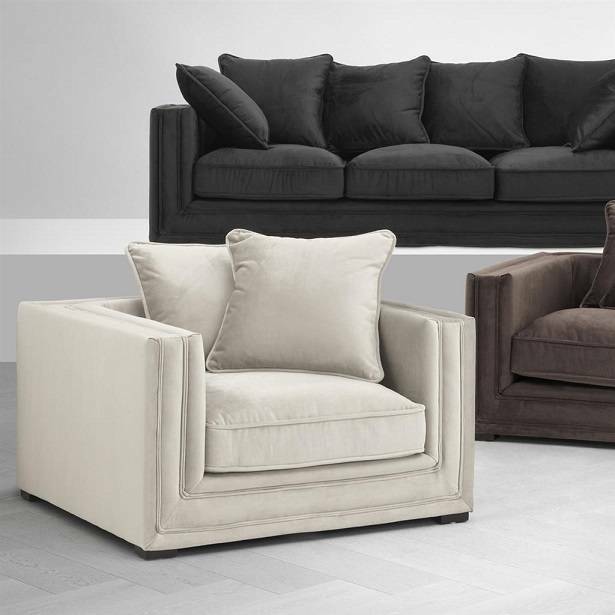 You're more than welcome to try the chair out in our 4000-m2 EICHHOLTZ showroom in Noordwijkerhout. 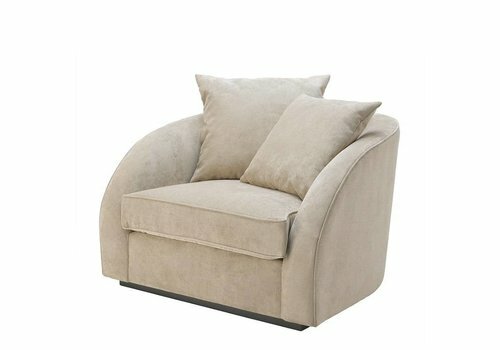 Please keep in mind that showroom visits are by appointment only, which can be made with our sales team. 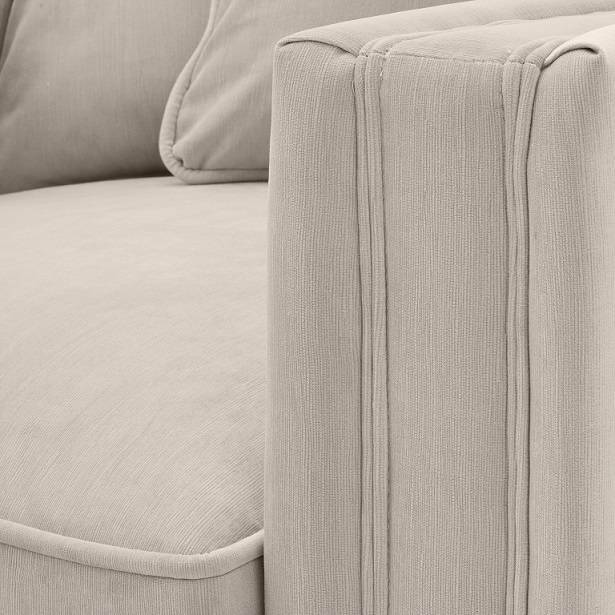 To schedule an appointment, get in touch with our customer service team.